We’ve been busy sharing the inspiring conservation stories of hard-working landowners and other partners, but what about NALT’s story? As we celebrate 25 years of successful land conservation across the country, we find ourselves asking how we got to this point. We’ve completed over 480 conservation easements on more than 100,000 acres across 19 states, each one protecting endangered wildlife and other unique natural and cultural resources. We are proud of our achievements, but our path has never been straight or smooth. 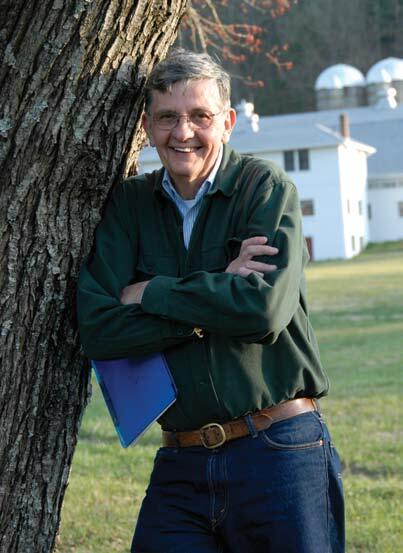 Founded on August 28, 1992 with Andrew L. Johnson as its first president, North American Land Trust came into existence, because Andy realized that there was a need for a national land trust while he was operating Conservation Advisors—a company that offered land planning services to organizations seeking land conservation solutions. Andy assembled a board of experienced professionals working in land conservation and real estate development, and NALT was created as a 501(c)(3) with a unique niche in the conservation community that balanced land conservation with limited development. Ever since its founding, one over-arching principle has guided our organization: problem solving. In the early years of our existence, when limited development was a strategy virtually unheard of among the land trust community, NALT provided a solution to an unmet need. Andy remarks, “We had to start the dialogue by asking, ‘what’s the difference between pure conservation and the other 99% of the landscape?’” The reality was that landowners wanted both conservation and limited development for the future of their land, and “pure conservation” was not an option in high value, rapidly developing regions. As a result, NALT was soon getting calls to visit California and Hawaii to offer our unique set of conservation strategies. Later, when we brought our work to the southeast portion of the country and found that southern landowners were resistant to working with a bunch of Yankees promoting this foreign concept of land conservation, NALT refused to budge. Instead, we held tight to our philosophy, “Nature is the amenity.” Andy elaborates, “As we built the practice and proved our Yankee selves, we were able to talk to these landowners about conservation that allowed carefully planned limited development.” Since then, this region, which contains the highest concentration of imperiled species in the country, has been a major focus area for our organization. When NALT found itself working in a tiny and cramped former cheese shop in the 90’s, that didn’t stop the organization from building a state of the art planning department while simultaneously renovating the barn next door as a bigger office. Reliant on a blueprint machine that produced ammonia, Andy built and installed a hood that sucked out the fumes. Later, with the advent of AutoCAD and ArcGIS technology, Andy jumped on the opportunity to upgrade from pen and ink maps. We now create high quality maps, which embody the collaborative vision created between landowner and NALT. As innovators and problem solvers, we continue to grow. This year we deployed drone technology to enhance our annual monitoring and launched a database of our land records to support stewardship. We provided two “friend of the court” briefs to address unfavorable tax court decisions, correct the record, and establish strong precedents that support private land conservation. In light of new concerns that some conservation easement donors are relying on overly aggressive appraisals, NALT has responded by providing clear guidance to its donors about the perils of inflated appraisals, and has become an advocate for tax reform that better polices the appraisal industry. Much like the land we strive to protect, our path has at times been steep and rough, overgrown with brush obscuring our view, but we’ve managed to hack our way through, forging our own way forward despite such challenges. Looking ahead, we are committed to the promise of perpetuity and have thus created the Legacy Fund in honor of Andrew Johnson’s legacy. This dedicated fund will provide the essential financial resources to ensure that lands conserved with NALT will be securely cared for in perpetuity by endowing NALT’s stewardship staffing and expenses. It will also include a reserve for defending conservation easements should they be challenged in the future. The truth is that we would not have been successful in this bold endeavor without your trust and generous financial support. Ever since the beginning, you have relied on our ability to create innovative solutions to conserve your unique property while honoring your vision, just as we have trusted you to be exemplary stewards of the land. We are confident that with your continued support, we will be just as successful in the future as we have been over the past 25 years.